Investors remodeling homes know that working with a good contractor ensures that their remodeling project goes smoothly, protects their return on investment by keeping within a budget and completing the job on time. Often investor remodels include installing new siding, kitchen remodeling, bathroom remodeling, installing new windows, adding decks and the addition of living space. The key to making money off an investment-remodeling project is to purchase a house that has good bones. With a few tweaks, the home can really be made to shine. Remodeling the kitchen, replacing windows and adding siding are some of the top things investment remodelers target when remodeling because they are about to recoup eighty percent or more of their costs once the home is resold, in most instances. Some of the other eye-catching things homebuyers look for and investment remodels are known for doing are installing a better front entry door. According to Remodeling Magazine, investors will recoup almost ninety-one percent of the cost of a steel door and seventy-eight percent of a fiberglass one. But, don’t stop with the front door, take a look at the garage door also. When an investor remodels a home, he or she should consider replacing the garage door and opener. Depending on the neighborhood, a new garage door can often recoup eight-five percent of the cost and makes for an attractive entry point that most homebuyers will notice. One last area that investment remodelers often attack during their remodel is the bathroom. While a complete overhaul isn’t always necessary, replacing the vanity, lighting and toilet often is enough to give the room an updated look, especially if you also include a fresh coat of paint. Whether you plan to flip the house you are remodeling or plan to live in it for a while, the home remodeling projects you choose to undertake should always be completed with resale in the back of your mind. 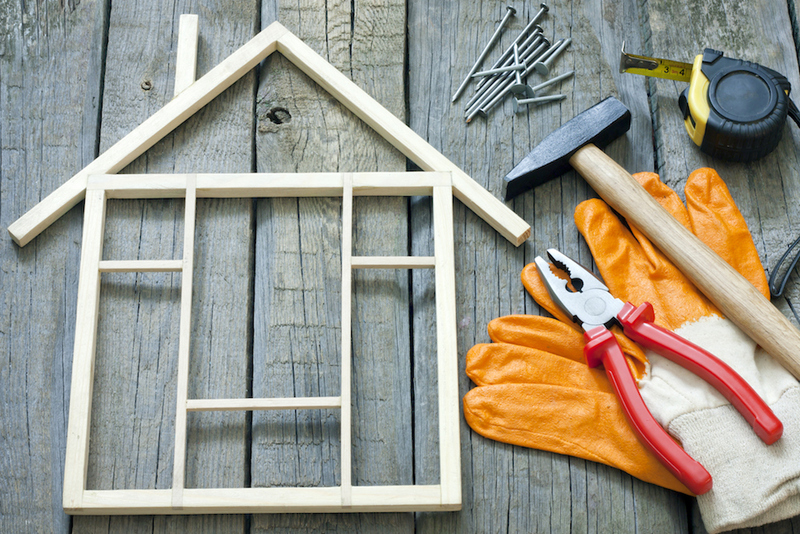 Which home remodeling projects will give me the most bang for my buck? The best advice regarding remodeling is to select projects that improve the overall value of your home, be sure to fix necessary repair items, and look for easy ways to keep the overall look of your home up-to-date. While a fresh coat of paint goes a long way, broken windows or a kitchen that screams 1970 will not impress a potential buyer. Most homebuyers are not up for the challenge of a larger remodeling task; even a kitchen remodel seems too much to some. By taking care of these tasks for them, you are able to increase the selling price of your home.